Our mission is to empower children to be creators of technology through hands-on workshops, training, and entrepreneurship in order to address local challenges while creating or supporting sustainable mobile labs for children. Click here to download the pictures from workshops. We trained more than 8000 children and 400 mentors until now. Our brand typeface is Proxima Nova. 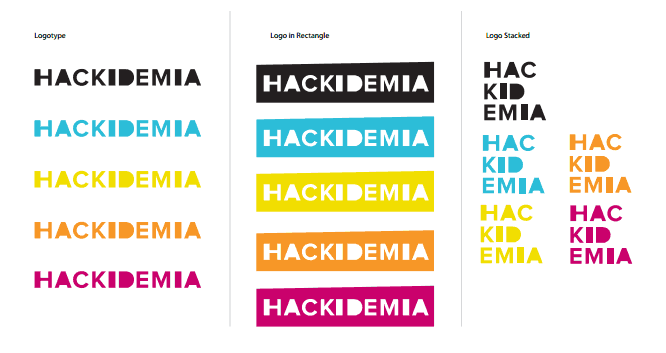 HacKIDemia is spelled with upper case in the beginning, KID in the middle of the word in upper case, too. Any logo variation should always remain in its truest proportions. Never stretch vertically or horizontally.